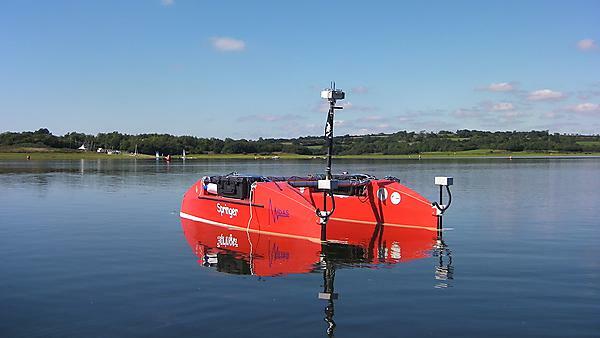 The Autonomous Marine Systems (AMS) Research Group is a focal point for interdisciplinary studies and inter-school collaborations particularly with the Robotics and Intelligent Systems Laboratory within the University of Plymouth, as well as externally with other universities and several industrial partners within the UK and globally. The research group comprises of academic staff and researchers having expertise in artificial intelligence (AI), optimisation techniques, advanced control systems engineering theory, multi-sensor data fusion, marine vehicle dynamics, industrial dynamics, thermodynamics and fluids, smart materials, marine power plant, marine vehicles performance prediction, marine propulsion, integrated navigation systems and marine renewable energy. In recent years, the focus of the research group has been towards application of AI techniques to the navigation, guidance and control of autonomous vehicles, wave energy devices and marine propulsion systems. In addition, the Maritime Navigation Group has merged with the AMS Research Group to give it a wider and more comprehensive research portfolio and brings expertise in such areas as meteorology and navigation techniques, maritime operation laws, position determination (including celestial navigation), ship construction, stability and cargo operations. Currently, several interesting projects in area of marine systems engineering and related areas, in the form of a PhD studentship and MSc projects are available from within the AMS Research Group.